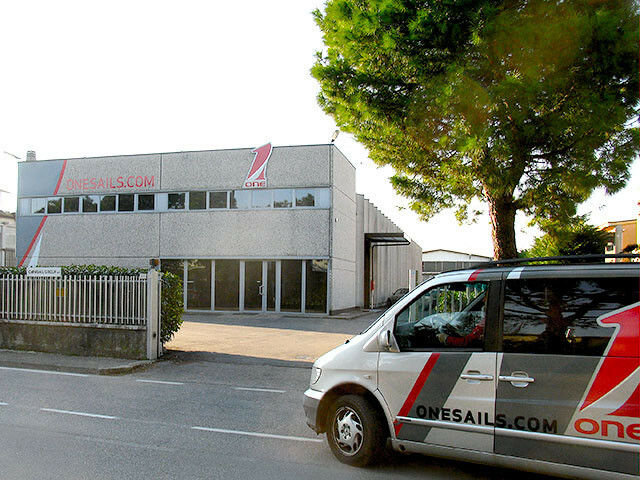 The headquarter in Verona is the place where most of the important functions of OneSails International are coordinated. Verona is straddling the Adige river in Veneto, northern Italy, next to Garda's Lake one of the most important sailing location in Europe. The city has been awarded World Heritage Site status by UNESCO because of its urban structure and architecture. There OneSails is driving the network marketing and promotional activities, the technical development, the “real world” test of new materials and the administration. Dede De lucaOneSails CEO. Excellent sailor, often requested by the best race Teams in the world, is one of the founder of the network. He is fully dedicated to the network development and is the boost of the continuos development of the exclusive technologies (4T FORTE™ and VEKTOR2™) that OneSails is offering to the market. Dario LucianiOneSails Executive Director. Expert in marketing, communication and licensing, have been advisor of many premium worldwide company in the sailing business. He is the creator of the concept and design of the OneSails logo and since 2008 is the key person of every artwork. As sailor he won in 1993 the 420 dinghy World Championship in Sweden. Flavio FormosaOneSails Technical and Design Director. Started his sailing career at age 8 on a Vaurien dinghy followed by many one-design classes like: Moth, 420, 470, Laser, Snipe and Contender. Entered in the sailmaking business since 1981 he has developed a wide experience ranging from structural membrane sail construction to sail design. He is the responsible of the OneSails CFD/FSI program, working at close contact with all the designer of the network. Paola BacchiegaOneSails Administrative manager. Has always been part of the world of sailing, first as a yachts woman and then as a coach. She is one of the founder and owner of OneSails International, operating daily with all the lofts managers in the Network. Mafio De lucaOneSails Network development and PR. Sailor with an excellent palmares, has a huge experience in Maxi Yachts as boat captain. He is one of the founder and owner of OneSails International, being always in the most important sailing areas of the world is the ideal person to create new contacts. Luca BezzanOneSails IT responsible. The OneSails Network has a fully personalized and dedicated cloud area where designers, technicians, sailmakers and commercials can share any useful data and information. Luca is the responsible of the development and maintenance of it. Piercarlo MoltaOneSails R&D coordinator. Mechanical engineer expert in textile process and materials is the inventor of various machinery and products patented also in the sailmaking, included the composite membrane MMS which is the core concept of 4T FORTE™ technology. He is a shareholder in OneSails and in Flexon Composites, the company which produce 4T FORTE™. Passioned sailor as a teen ager, he sails and race since 40 years from dinghies to offshore boats.